A little while ago I decided to get back onto a motorbike as a commuter for the two simple reasons a) I spend too much on petrol every month getting to and from work and b) the traffic is getting worse by the second and a bike is really the only way to effectively commute. I considered a little scooter like the wife’s as they are nimble and excellent on the juice however they are limited after that. 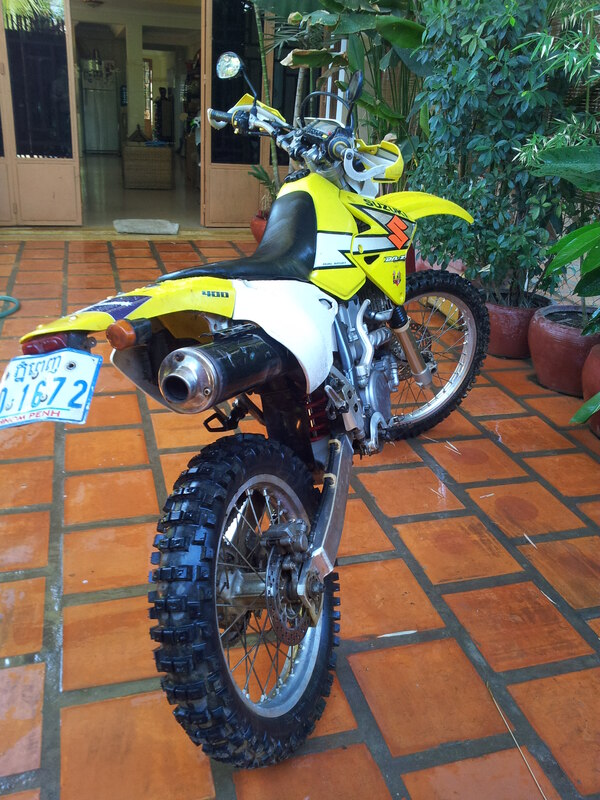 I then found myself thinking about getting a dirt bike again after many years of non-ownership. I need an outlet and with bugger else all to do here , it was time for me to get back on a bike. So I set myself a budget and I looked at very cheap crappy ones and then more expensive ones fresh off the boat within the budget range. I decided that I wanted a bike that would make an excellent every day commuter, would also be good on longer road hauls and then also fun out in the mud on the weekend. 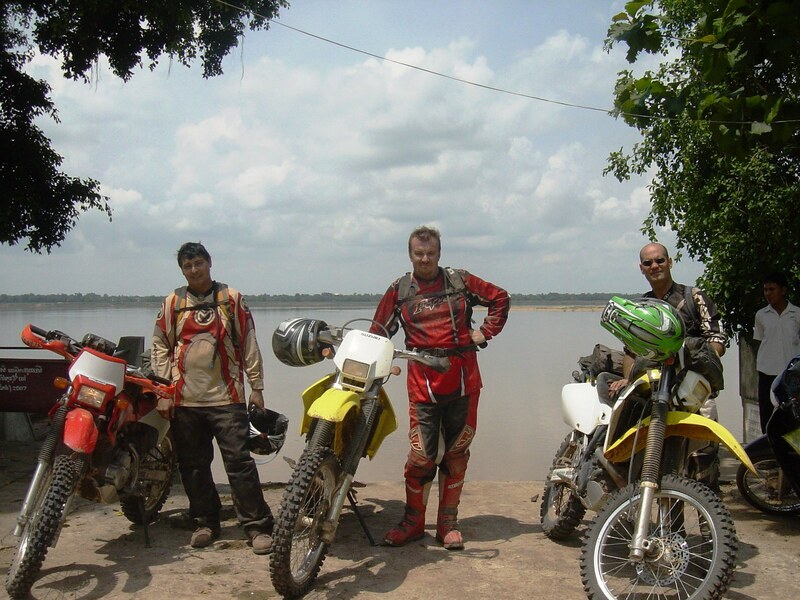 I came very close to making a move on a Suzuki DR650 but I was basically longing for a Suzuki DRZ400 – the bike that I spent so much time seeing Cambodia on with Jeff and Brady ( Adventure Moto ) from 2007-09. 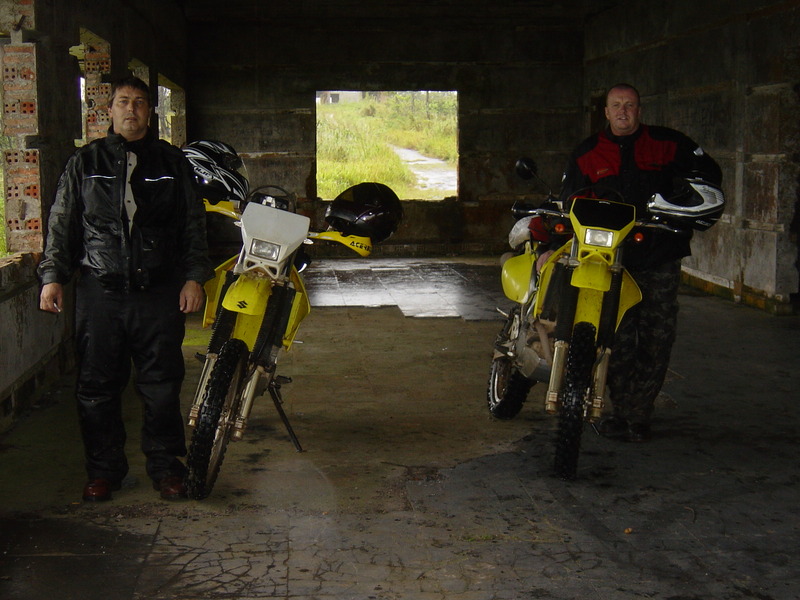 These 400cc Dual Sport bikes are not for the faint hearted or inexperienced as the front wheel lifts with the slightest throttle up and they are simply beasts offroad. I looked at several nice example but they were over my budget as there are not too many of them around and they are much sought after by the more serious endure heads here. Imagine my luck when I came across one sitting in storage at a western run bike shop. Owned by a chap now residing in Singapore, it had been ridden only several times on the last couple of years and was in great ( but dusty ) shape. The owner wanted to sell as he never used it and he was basically giving it away so it only took a small test ride up the street and back before I pounced. I basically got if for a song – 40% less than it’s worth and it only needed a new back tyre and an oil change. I took it over the Mekong to mum’s house and played around on it for a few days over the weekend and man was it good to be back on a bike !!!! The mighty DRZ will go anywhere….almost. 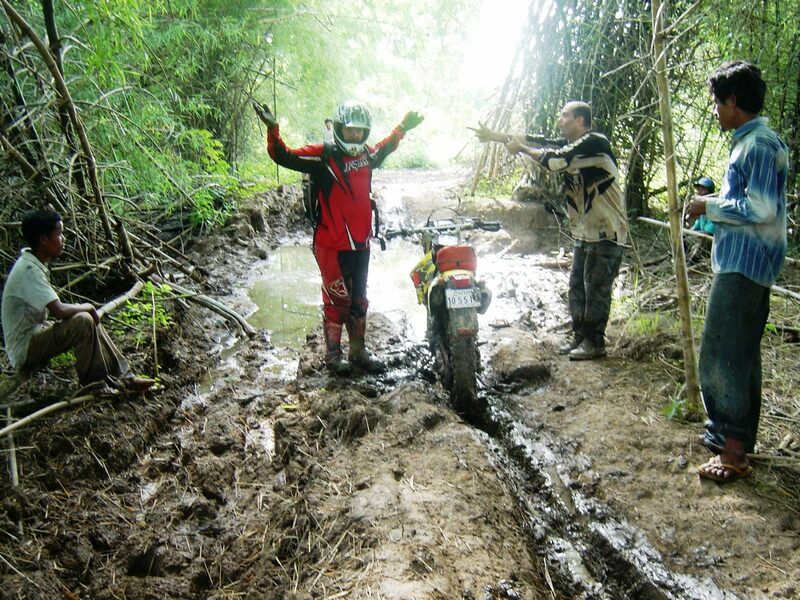 Me…..stuck in the mud up near Prey Vehear. 2009.